Our March 2012 Green Network Group meeting was another outstanding get together. We were lucky to have local Orange and Lake County Fla self taught wind power expert Jim Dotson as our presenter. Jim offered a beautiful powerpoint on his personal initiative to learn about and install a wind turbine on acreage he has in central Florida. He also included information on his trips to rural Africa to offer electrification efforts to small clinics which often have no power at all. Jim became interested in residential wind systems after seeing an exhibit at the National Botanical Gardens in Washington DC. He researched the opportunity and decided to dive in. He laughed when discussing his first visit to the local zoning office. The office had never had a wind tower installed in their locale so they were unclear how to list the project. After much discussion the decision was to list it as a radio tower and not a wind tower. For those with interest in installing their own turbine, placement of the tower is quite essential to optimum performance. The tower needs to be 250ft horizontal distance from any obstacle and the motor needs to be 20ft above any obstacle. In that the turbine is in many ways like an aircraft propeller it is important to have clean air ie the less turbulent air the better. Jim installed his tower on a hill(yes we have hills in Florida) near his home which helped elevate the blades into less turbulent air. Usually the taller the tower the better in order to get the cleaner air. - Anchoring the tower is very important to get the best performance. Jim dug a sizeable hole and used rebar and poured concrete. Jim did volunteer that he has seen no birds killed by the moving turbines yet. He said in fact that he watches a hawk on occasion that seems to like to play on the turbines when the wind is light. Some experts say the ambient wind flows in Florida are too light to support successful residential wind power in Florida. 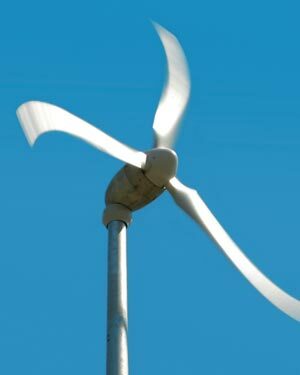 It does seem that due to the size of the turbine and the requirement for "clean" air, wind power may be suited for a more rural location where there are less obstructions by neighbor's houses and large buildings. 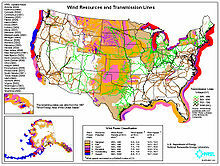 But it does seem also that wind can certainly contribute to reducing the need for grid generated power in Florida. We passed a marina recently and almost a 3rd of the sail boats had small wind turbines to power their batteries. Conserv-A-Store.com helps to sponsor the Green Network Group in Orlando the 3rd Wednesday of each month. Everyone is welcome! If you are from out of town and are at the theme parks but need a break to come learn about Green topics-we welcome you.